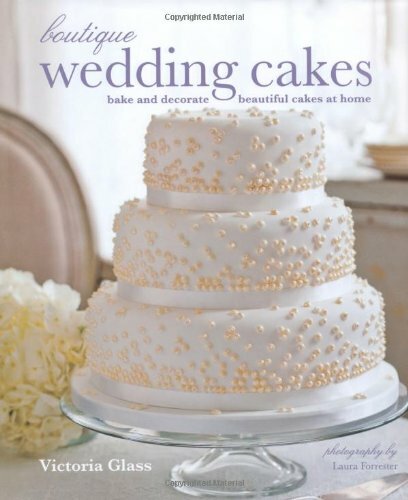 An elegant wedding cake is the perfect finale to a wedding breakfast. Whether you are making a cake for your own wedding or for a friend or relative as a thoughtful gift, Boutique Wedding Cakes will show how fabulous cakes are within everyone's reach. Expert baker and sugar-crafter Victoria Glass guides you through the process - from choosing the perfect cake, baking and decorating, how to deliver and present the cake, as well as adapting the recipes to guest numbers. The Basic Techniques teach you how to achieve professional-looking results and step-by-step photography demonstrates clearly how to assemble your spectacular-looking cake. As well as practical advice there are 19 stunning designs for you to follow, ranging from Classic Elegance to the Bold, Bright & Beautiful, each accompanied by their own cake recipe - from a traditional fruit cake to a green tea and ginger sponge. Whatever your taste, you can create an unforgettable wedding cake that is truly unique to you - whatever your baking ability and whatever your budget.